It seems that time passes more slowly when you are impatiently waiting for something. وقتی بی صبرانه منتظر چیزی هستیم گویی زمان آهسته تر می گذرد. She said she would be back in an hour. It's only 10 minutes she has left, and it already feels like hours. 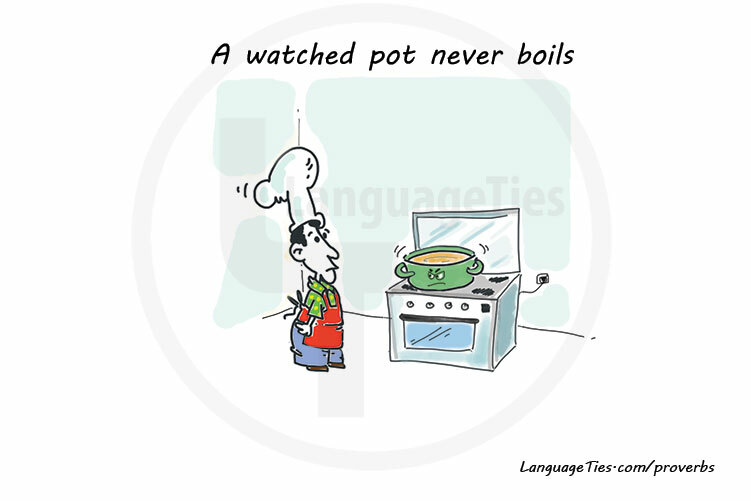 Now I get it; a watched pot never boils.